Ripon is a fantastic place located in the Borough of Harrogate. It has a small town, community feel, but retains city status due to it’s cathedral - which is a wonderful sight and a must-visit. With a population of just over 16,000 (2011 census), it is one of the smallest cities in the UK. But it’s attractions make it a very popular spot for tourists. If you’re keen on the quieter life, away from the hussle and bussle of living in a big city, then Ripon might be the place for you to settle down. Thinking about it? Allow us to help sway you in the right direction. he area is very well looked after. It’s clean and feels very relaxed, although there are good motorway connections to some of the bigger cities. You’ll find out pretty quickly that the cathedral stands out amongst the rest of Ripon. It boasts amazing, historical architecture, that wouldn’t look out of place in some of the most prestigious parts of the country. You won’t get tired of the views if you live in Ripon - that’s for sure! Although it’s only a small place, Ripon always has lots going on to keep you entertained. There’s a very popular racecourse, for example, which hosts events throughout the racing calendar. People from all over Yorkshire visit Ripon just for this reason. There’s also a market on every Thursday, if you enjoy browsing through a selection of unique, locally-made items. And, of course, you can visit the Cathedral. Probably the biggest tourism draw Ripon has to offer. If you’re after something a bit more adventurous, and family-oriented, the theme park Lightwater Valley is close by. Over the past few years, Ripon has established itself as a hub of quality food and drink. It doesn’t matter what you’re looking for - some good pub grub, or a fine dining experience - you can find it in Ripon. Very popular amongst locals is a butcher called Appleton’s, which produces possibly the best pork pies you’ve ever had in your life. The Royal Oak pub has a great selection of ales, if you’re into your beer. To be honest, Ripon is filled with fantastic pubs. You can’t walk too far without spotting a good place to grab a drink. If you’re thinking about moving to Ripon, then you’ll be happy to know it has a fantastic housing market. There’s lots of options to choose from, whether you’re looking to buy or rent. And if it’s in your budget, you can choose to move into one of the many luxurious properties available in Ripon. 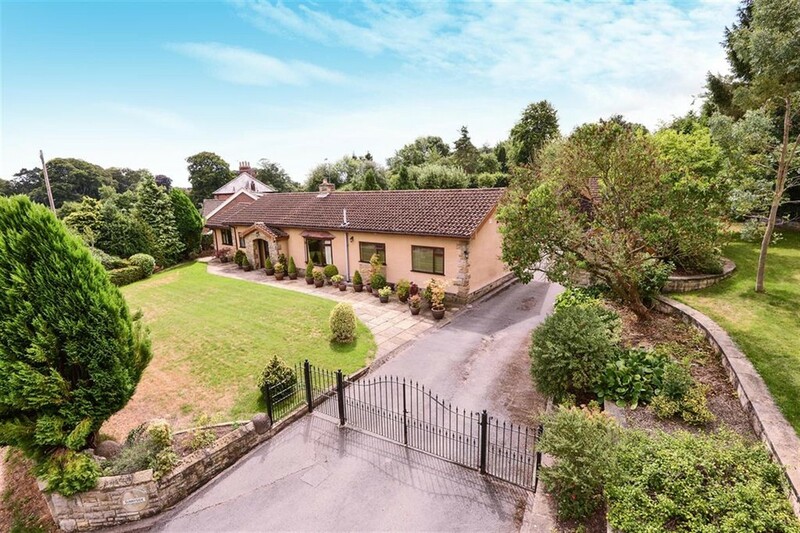 Four and five bedroom detached houses, complete with beautiful gardens, are quite common. If you want any help searching for a property in Ripon, don’t hesitate to give us a call. Our local branch will be happy to assist you in any way they can.